The ZSAC loads are suitable for use at both AC and DC voltages. The loads are provided in two voltage classes 260V and 440V. 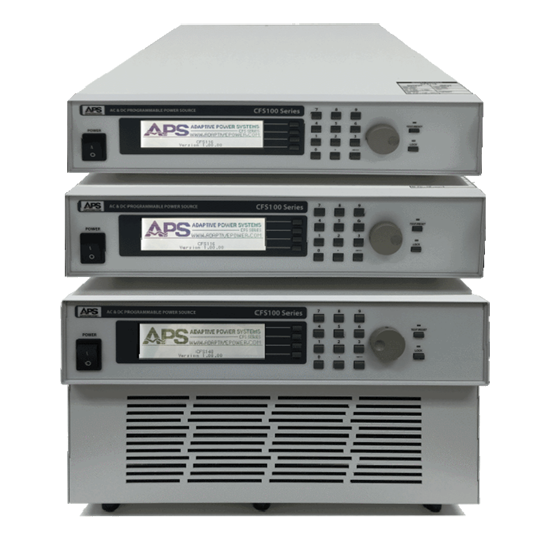 The power spectrum contains models from 400W up to 12600W and currents up to 50A. 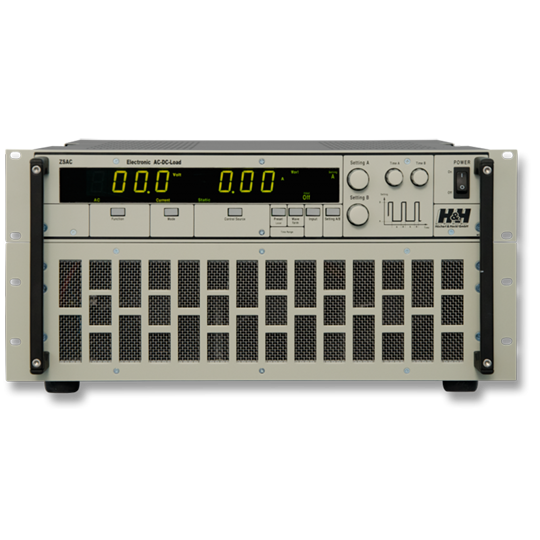 In AC mode the units can be used for 50Hz or 60Hz mains voltage as well as for other frequencies up to 700Hz including 400Hz for aircraft applications. When working at mains voltages even heavily distorted input voltages can be loaded. In current mode there can be stored up to six current waveforms. 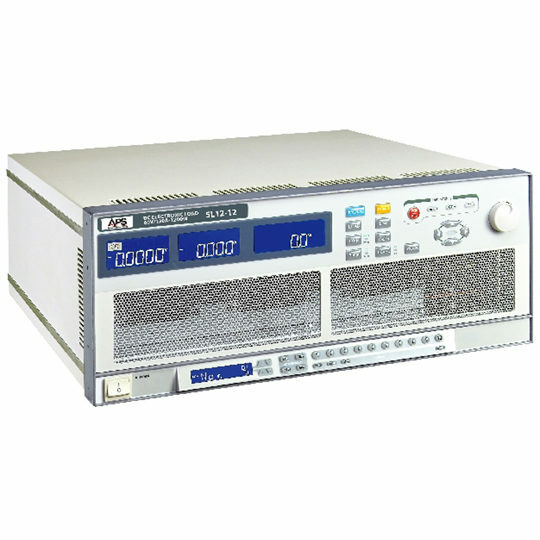 The ZSAC loads provide special functions to generate phase-gated currents, load currents with superimposed harmonics and with programmable crest factor. Extensive equipment options support an optimal adaptation to test projects. For example, different interfaces can be used as plug-ins to replace or upgrade the existing interface. Multi-channel systems are easy to build up. 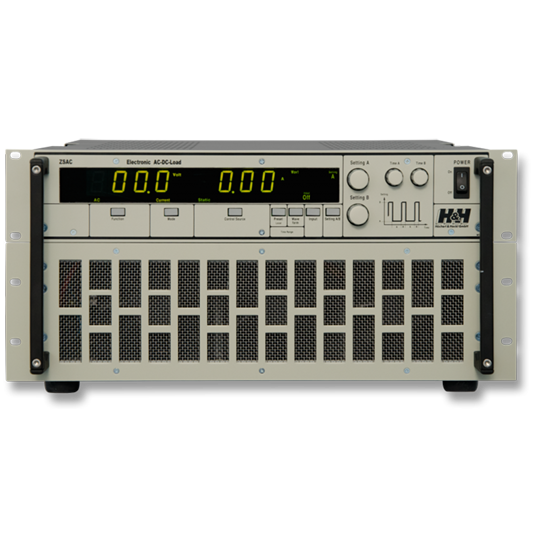 A galvanically isolated Analog I/O interface is standard. The ZSAC loads have excellent dynamic characteristics, and are ideal for pulsed loading applications. The robust mechanical housing is intended for either 19″ rack mount or benchtop use. The larger, higher power devices can be supplied directly mounted on castors. 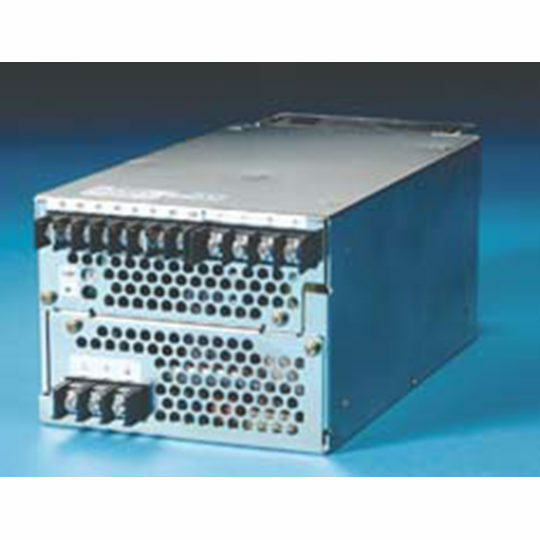 The AC current loads of the ZSAC series feature constant current and resistance operating modes. In AC mode the current is sinusoidal. In resistance mode the height and waveform of the current depends on the input voltage. 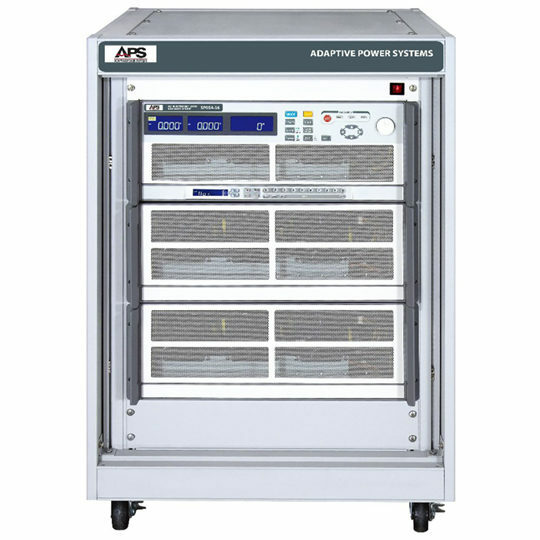 Depending on the type of voltage the devices can be switched between mains voltage and/or mains-synchronous voltage, AC voltage with variable frequency and DC voltage.